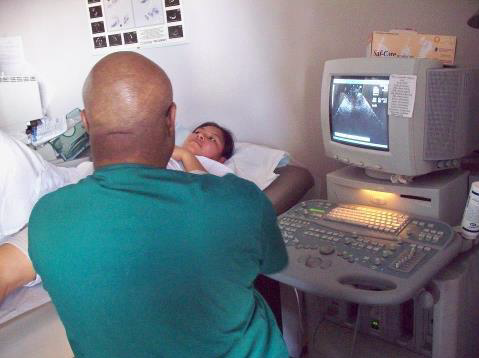 Cardiotech Ultrasound School is a small school located at 12135 Bissonnet, Suite E, and is within close proximity to Highway 59 and Beltway 8. The location is in the southwest suburban community of Alief, Texas, one mile west of the Beltway 8 on the Sugarland border. The school is easily accessible by car as well as public transportation provided by the Houston Metro Bus Lines. The facility is situated in one of five business condos located in a quiet, easily accessible commercial complex. Cardiotech Ultrasound School is in full compliance with state and local ordinances, regulations, and requirements for fire, building, health safety, and the handicapped. Free parking is available for those who drive. The school is 4,880 square feet. Administrative offices are located in suite E. The facility designed to allow instructors to monitor individual students’ progress and provide assistance in their chosen career endeavor. Five state-of-the-art classrooms, an out patient clinic, two labs equipped with light boxes, a film library, and audiovisual aids and models are available to complement the instructional program. 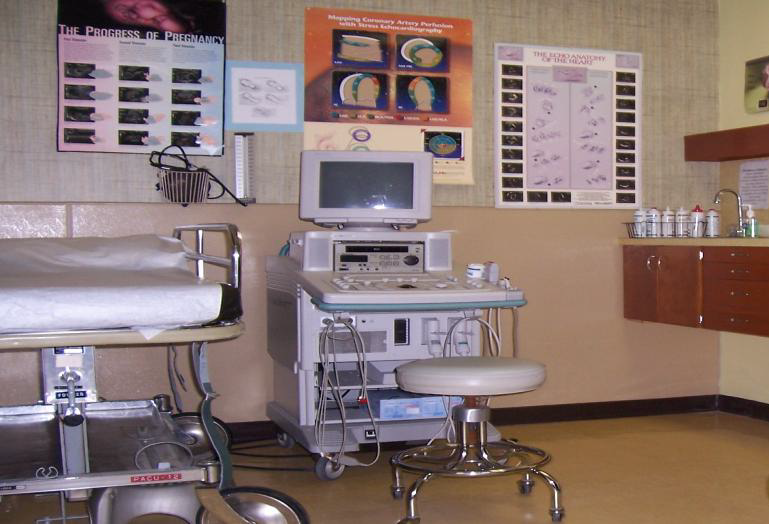 State-of-the-art equipment permits students to perform generalized and specialized procedures in the practical training areas. Our small classroom, realistic non-invasive diagnostic laboratory and out patient clinic make it a perfect learning atmosphere for students. The main building houses four administrative offices, a lounge, a storage room, and two restrooms. Vending machine, water cooler, and microwave facilities are available on site. Handicapped restrooms are located in both suites. A wheel chair ramp is located at the end of the building to accommodate handicapped students. All students are allowed computer and internet access and a mail box at no additional charges. A variety of restaurants are located in close proximity of the school.